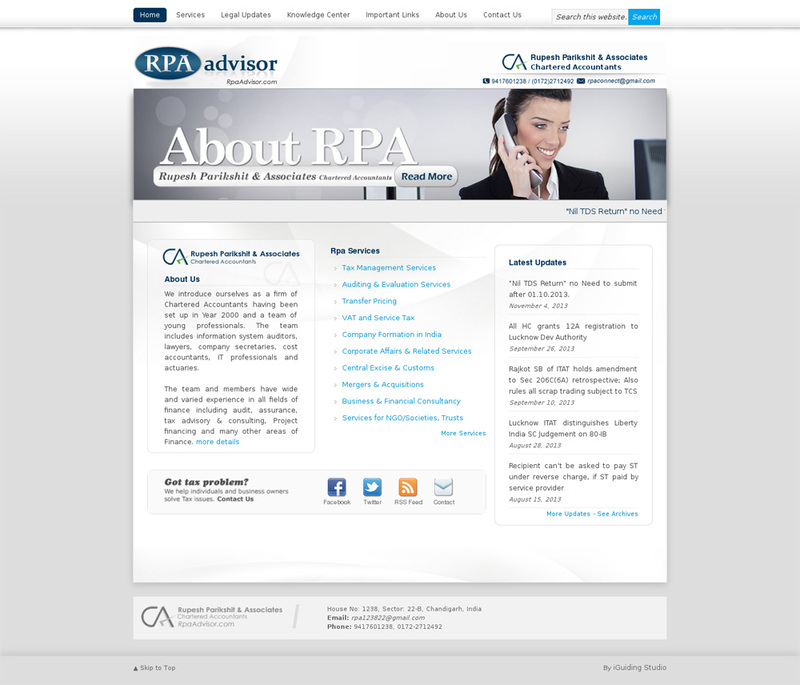 RpaAdvisor.com is a business profile website for Chartered Accountants firm. It has neat and sophisticated look with tone down color interface. Website is fully responsive and is a custom build on Genesis Framework. Work: Website Design (Responsive), Custom Theme Development, Website Installation, on-site SEO setup, Logo Design, Social Integration, Website Hosting.